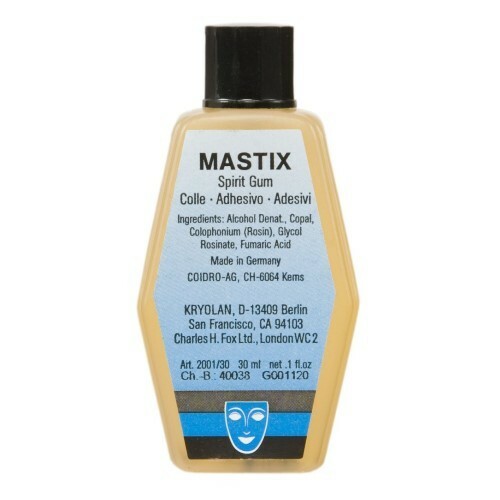 Classical Spirit Gum Skin Adhesive for MakeUp Artists. For bald caps, beards, wigs etc. Classical Skin Adhesive for MakeUp Artists. For bald caps, beards, wigs etc. Apply mastic on the desired area of the skin and allow to dry slightly. Then press the object to be glued.